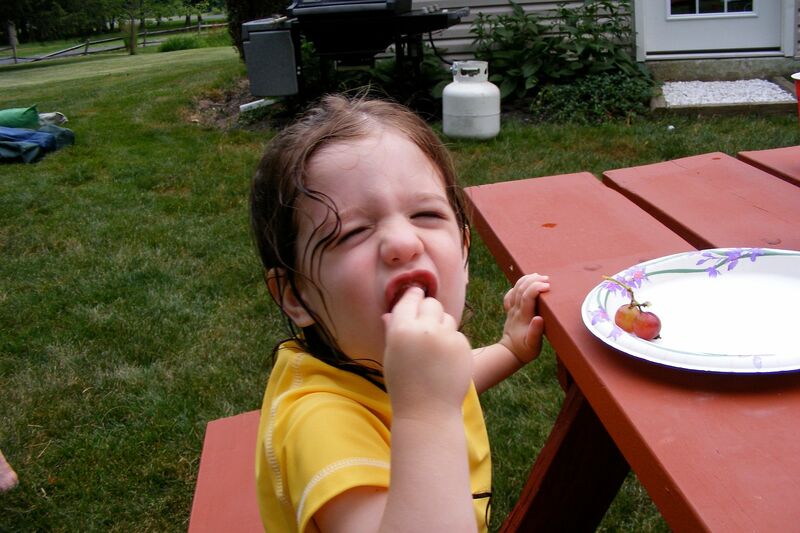 Picky Eaters ~ Part 2, What is a Picky Eater? It seems like everyone has an opinion on picky eaters. This series on Picky Eaters is not trying to change anyone’s mind or make anyone feel like less of a parent because they do things differently. This is my story and what worked for our family. If you are struggling in this area, feel free to try some of my ideas. If you have your own tips to share, leave a comment or join our active discussion going on over at The Blog Frog. I know that I said I was going to answer a reader question in this post, but I wanted to talk a little about picky eaters before I go on. I do not like ice cream, pies, most cookies, or cakes, does that make me picky? My children refuse to eat most fast food, are they picky? 2. They do not eat a diet of healthy foods. This child is being choosy about what he wants to eat, but he is making good choices. When a child is being picky it is important to determine the “heart issue.” Are they being defiant? Is the food something they truly dislike or are they not open to trying something new? Is this a battle of the wills? Is your child testing you? Or is there an allergy or something else going on. It is up to you to figure out where the problem lies and act appropriately. I have seen parents create works of art with their child’s food to get them to eat it. The child doesn’t dislike the food, they are just being difficult and the parent is bending over backwards to placate the child. If you have the time to turn their peanut putter sandwiches into teddy bears and hearts then more power to you, but their spouse might not appreciate this technique in the future. Remember the habits formed as a child will most likely carry over into adulthood. More than one person has asked what to do with a picky spouse in the forum discussion. Is your child associating a certain food with a bad experience? I once had a toddler throw up tri-colored rotini with red sauce all over me, and continued to throw it up for several hours, I haven’t served tri-colored rotini since that incident. Could I eat it if I had too, sure, but even looking at the package in the store turns my stomach. If your child dislikes a certain food because of a bad experience, give them some time and try the food again later. If your child eats a wide variety of foods and they come across something they don’t like, give them a break. I have one child who eats; apples, oranges, watermelon, honey dew, pineapple, bananas, corn, green beans, broccoli, lettuce, peas, peppers, and many other fruits and vegetables. He doesn’t like fresh strawberries. When I serve strawberries I give him a small piece to try, but if his tastes haven’t changed I don’t worry too much about it, he eats lots of other good food. Is your child going through a phase? Many of my children have gone through a period where they only eat a handful of items. During these periods I continue to offer all the foods they use to eat, but I don’t force the issue. I will not however, substitute healthy foods with junk. If my child decides one day he only likes apples and stops eating other fruit, then he eats a lot of apples. I will not serve cookies and juice to replace the healthy foods he once enjoyed. If your child refuses to try new foods you must make a choice. You can either make it an issue or ignore it. If you ignore it, chances are your child will develop an extremely limited appetite. How can they know they don’t like something, if they have never tried it? If you make the decision that your children will try new foods, create guidelines and stick to them. Whether it be the two bite rule, the one food you never have to eat rule, the eat it for breakfast if you don’t finish it for dinner rule, make the guidelines clear and stick to your guns. If you are always changing the rules, your child will be confused and not know what is expected of them. There are other times with battles over food are just another way of your young child trying to take the lead in your relationship. It has nothing to do with taste, texture, allergies, or negative experiences. It is a way to get attention and get what they want. Who, when given the choice, would not want to eat a diet of junk food and soda pop? I am sure many of us would chose cake over a carrot most days of the week. If you are not sure if this is what you are dealing with ask a trusted friend or family member if they see evidences of willful disobedience during meal time. 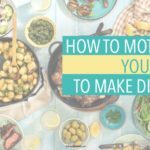 If you determine it is an issue of wills, then it is important to take charge of mealtime and set down some guidelines to make mealtime a pleasant and healthy experience for everyone. Coming up next… reader questions answered and suggestions on how to turn your picky eater into a good eater. This is a great series. Picky eaters is something I’ve dealt with for a couple of years now. My first picky eater has allergies. He was allergic to wheat as a baby/toddler and once he came out of it, he was resistant to trying any kind of bread products because it was new to him. I just kept with it and now he eats a wide variety of bread/grain products. But bread itself is still hard for me to get him to eat, at times. (Yet he’ll eat rolls just fine!) Sometimes it is a battle of wills, sometimes it’s not. One thing that bothers me is when dinner goes untouched and he ends up eating nothing all night. That’s our rule. If they don’t eat their dinner, they don’t get anything (except their dinner) the rest of the night. Having said that, however, we still really encourage them to eat their dinner. Even just a few bites. I know toddlers and preschoolers have strange appetites and different hours of the day. Mine can eat all morning long, eat a good lunch, and barely want to eat dinner. Even if it’s their favorite food. I had to look for the trend. So, now I make it appoint to make really good breakfasts – hearty. No more cereal out of a box, unless we’re in a big hurry or something. Another thing I take into consideration is the size of their stomachs. Obviously it’s much smaller than mine! About the size of their own fist, in fact. In addition, they may not be able to take in a lot of food in one sitting, but they will eat frequently throughout the day. As long as they are being fed healthy food, it’s really not a HUGE deal. I try to have scheduled snack times so they aren’t mindlessly munching. However, if they show me genuine hunger, I may sneak in another mini snack, if truly needed. Great points. I know part of why most ‘ethnic’ foods are shunned in my house is that some of the seasonings leave my husband in the bathroom for the night. Another thing you didn’t mention is a texture thing. My husband hates strawberries because of the seeds, but he loves strawberry milkshakes or popsicles (the 100% fruit ones) or even strawberry muffins. We learned this experimentally, and its great because I can have my fresh strawberries and then make muffins before they all go bad. You have just made my day! By your definition of a picky eater, neither myself nor any of my kids are picky eaters!! Whoo Hoo! I have known it is dislikes and likes, not behavioral, but it still seems like some of us don’t like a lot of different food! But there are plenty of foods that we do like, healthy and good for you. Great post! I never thought about the child being defiant. Something to think about. Also you said are they testing you. Hum, I never looked at it that way. Boy you could teach me a thing or two! I am really enjoying your posts this week. So you are really cool! I aspire to be a blogger like you some day. Thanks for the love on twitter! I’m really enjoying this series. My 4 year old is super picky. My other two love veggies and they eat some that a lot of kids won’t touch like brussel sprouts. The 4 year old is finally starting to eat green beans but that’s about the only veggie he will eat. He’ll pretty much only eat apples or bananas as fruit. He sometimes will put the thing to try in his mouth but then he will seem not to like the texture or something and go spit it out. I can’t even get him to swallow it to try it most times. Thanks for writing about picky eaters! I’m looking forward to the rest! Oh I have one of those battle-of-the-will with one child. It is them definitely trying to take “control”. I know this since this child will eat the particular ingredient (kidney beans) in everything except one meal. I’d say mine are both #1 and #2. But they are mainly #1 and I’m learning to be patient. I know they will not grow up to be adults and only eat macaroni and cheese, pizza, and PB&J sandwiches! Thanks for this timely and excellent series! I commented about this at my blog too – because a lot of people think my kids are too picky because they want to eat healthy foods and ask for water instead of soda pop and odd things like that. Those are the 2 posts I wrote about the subject – but all the comments are on my facebook page. I could totally relate to the tri-colored rotini. When I was 4, I had a similar experience with stuffing and the smell of stuffing still makes me want to throw up and I’m 31! I am proof that even extremely picky eating children who are surrounded by poor food choices & terribly unhealthy role models, can learn to broaden their palate. Believe it or not, I never tried a lot of fruits & veggies because I didn’t know “how” to eat them (prepare, cut, cook, peel, etc.). And I was much too shy and embarrassed to ever admit that. I think you covered everything in this post. Picky eating is not always just defiance. The issue with both of my kids is texture. I try to get them to take a bite of everything. It sometimes backfires… goes on the tongue and GAG! Yuck. I can’t remember where I found it but one blog suggested to get the kid to “kiss” the food. This works sometimes. It makes them familiar with the texture and then you can move on to “lick” the food. There are plenty of foods they would not eat due to texture like mashed potatoes. We knew they would like it if they just gave it a moment in there mouth to actually taste it, now they like it. Wish me luck, I need it! I’m glad you take the kids opinions, phases, tastes, etc. into account. You never know what might be triggering their “dislike” of a certain food. My mom used to sneak barley into a lot of foods growing up including meals I usually loved. I hated it. She’d say, “you can’t even taste it.” That didn’t matter to me. If I saw it in something, I knew I wouldn’t like it. Turns out, I was/am allergic to barley. It literally made my stomach sick when I ate it. I think some parents make their children picky eaters. A friend of ours does not eat vegetables–except for a slice of tomato on a burger–but is really confused when his kids refuse to eat veggies. Your kids will follow your lead–try new things, eat green or spicy or whatever, as a FAMILY. i require that my 7yr old try 1 bite of everything. she ate everything until about age 2. Now she eats NO fruits or veggies and limited meat. She throws up when i insist she try a veggie or anything new. I am just tired of making multiple meals. my 5 yr old will have a cookie in 1 hand and broccoli in the other and enjoy them both. Any suggestions on the gagging and vomitting deal when she trys something new? We try to take opinions into account, and our oldest has texture issues, but you have to find a middle ground. My oldest used to say he hated all soups. If it looked like soup, he wouldn’t touch it. He’s still not a huge soup eater, but he is willing to pick out stuff he likes from a stew. The point is we kept offering it to him, and expecting him to eat it. If we had let him always choose what he ate, his list of “acceptable” foods would be very short. But we go a little easier on him, since we know it takes a long time for him to try a new food. No “you’ll have to eat it for breakfast” at our house.